For information on the source of our ingredients click here. Enjoy our 100% pure organic therapeutic grade essential oil of spearmint. All of our therapeutic grade essential oils are tested at a state-of-the-art gas chromatography lab to rigorously test the veracity of the purity and potency of our sourced oils. Studies have shown that spearmint (Mentha spicata) can be used as a natural analgesia for pain treatment in osteoarthritis patients. The scientific community is also exploring utilizing spearmint essential oil as a natural antibiotic due to its innate antimicrobial activity. 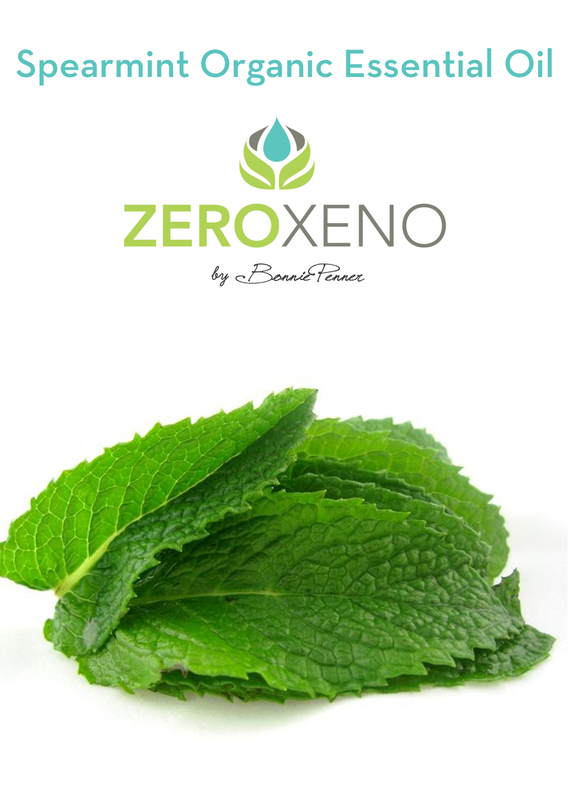 Zero Xeno products are made with the simplest of ingredients and the light scent is delightful and untainted by synthetic fragrances. The added bonus of course is that Zero Xeno products are free of hormone altering xenoestrogens.